by Robert Lemay. Dedicated to Anubis Saxophone Quartet. Approximate duration is 18'00. 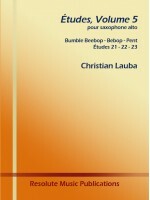 ..
by Christian Lauba. 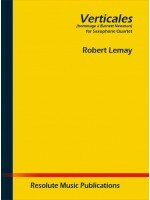 For tenor saxophone. 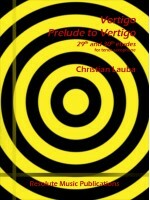 Two new incredible études from Christian Lauba - Verti..
by Christian Lauba. 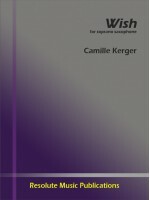 Volume 5 includes 3 concert etudes for alto saxophone. 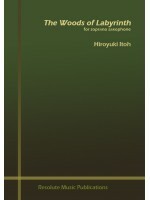 Bumble Beebop (#21),..